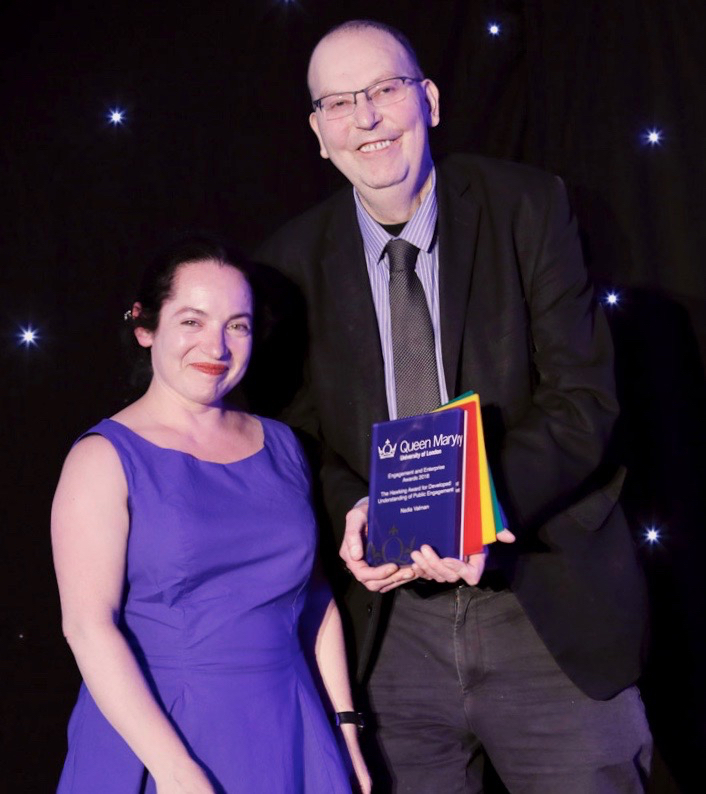 Dr Nadia Valman has been awarded the Hawking Award for Developed Understanding of Public Engagement for her collaboration with the Migration Museum Project on ‘Migrant Literature Walks’ in 2017 and 2018. Dr Valman, a literary historian at Queen Mary University of London, has developed and led the series of four guided walks exploring London through the eyes of migrant writers from the mid-nineteenth century to the 1960s. The walks drew on Dr Valman’s research on London’s rich history of migrant writers to explore the complex feelings experienced by writers new to the metropolis, and to give participants new perspectives on familiar streets and landmarks. She has run the series twice and all walks have proved extremely popular – all have been fully subscribed within days. Named after Lucy Hawking, novelist and daughter of Stephen Hawking, the award reflects Lucy’s qualities of reflexive, cooperative working, and her understanding of how to bring together research and engagement; this award is given to an individual to acknowledge their own critical thinking in the field of public engagement. We are delighted that Dr Valman has been recognised for developing and leading these walks. We have collaborated with Nadia for several years – she has also advised and been a guide on both of our annual Imprints fundraising walks across London to date – and very much hope to continue collaborating with her on walks and activities aimed at fostering greater public engagement in the future.